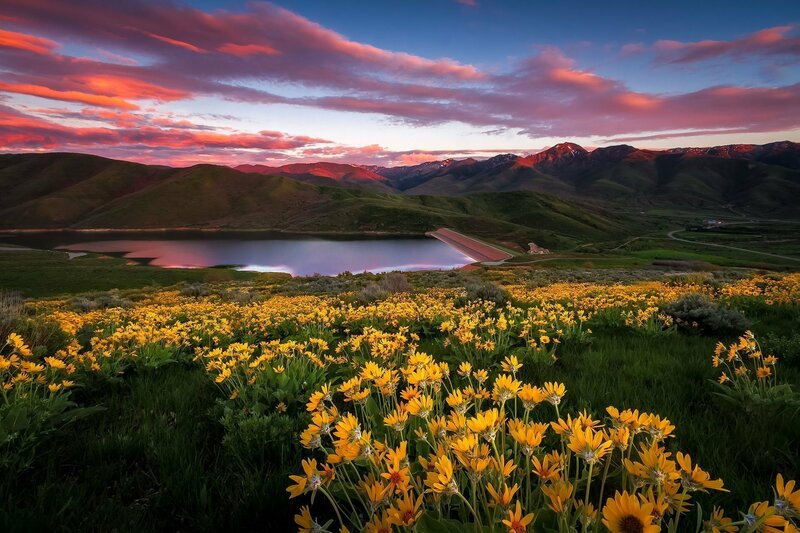 The Wasatch Mountains that surround Salt Lake City, Utah are a landscape photographers playground. Endless vistas, flowing rivers, colorful sunsets…and hills full of wildflowers. In my short time as a landscape and nature photographer, I’ve only found decent wildflower blooms every once in a while. This time proved to be one of the best as I stumbled upon an entire hillside blanketed with blooming yellow balsamroot (aka Mule Ear) wildflowers. Adding a cloud-filled sunset to light up the sky and I was in heaven.